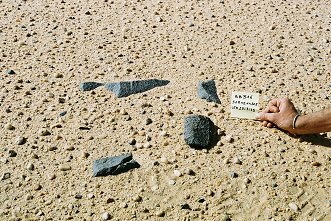 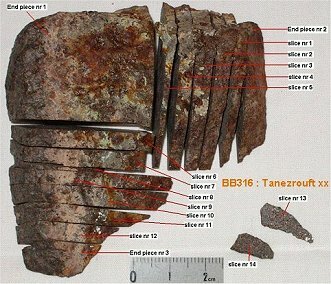 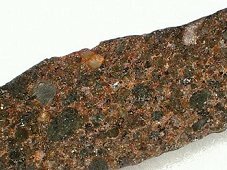 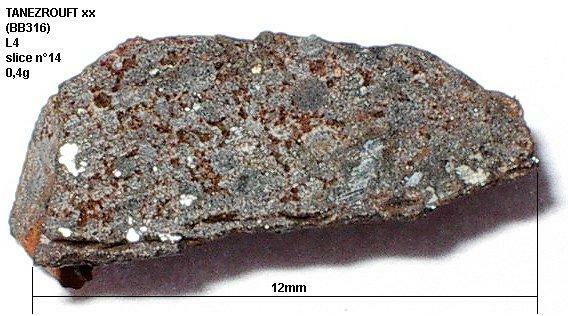 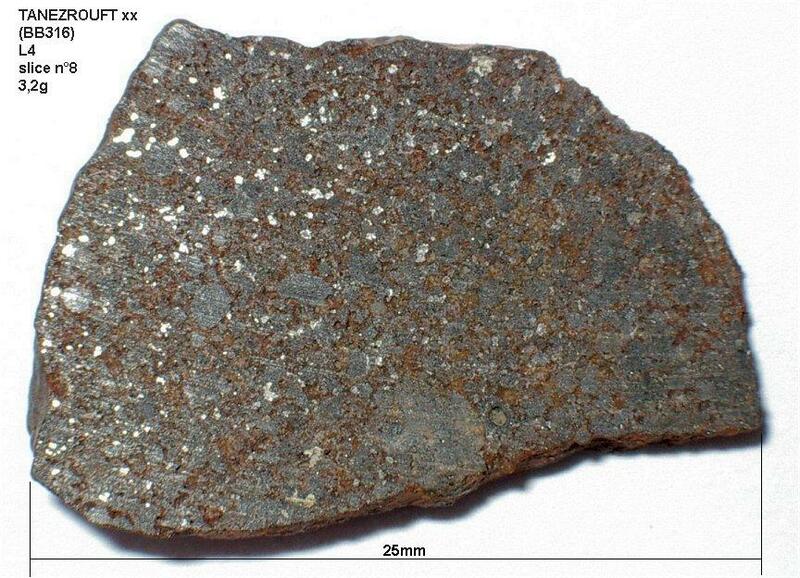 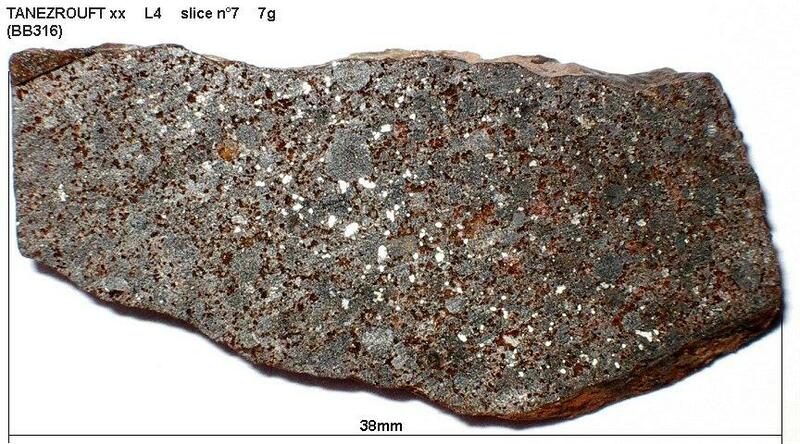 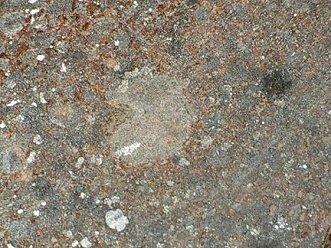 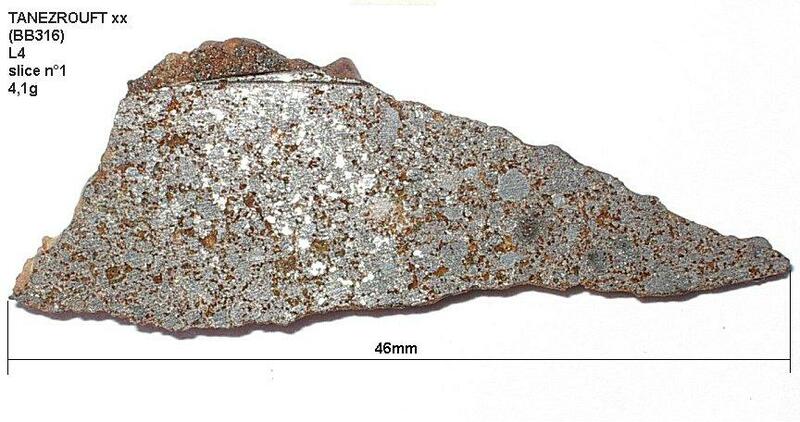 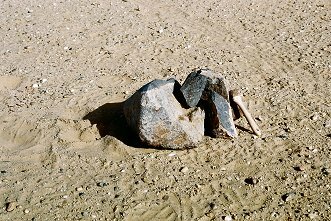 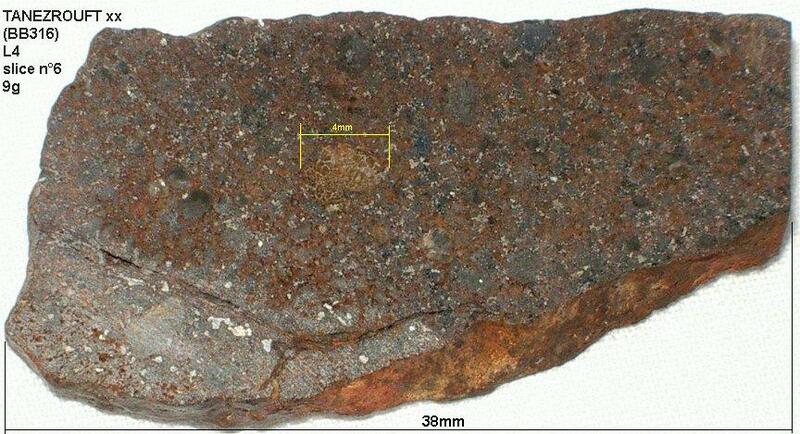 Remarks : Fresh meteorite, ressembling SARATOV (L4-Russia). Beautiful olivine & OPX chondruldes cab be observed within the porous matrix (approx. 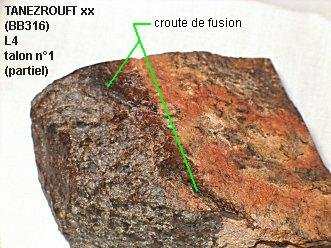 20% porosity).